Crown and bridgework, also described as restorative dentistry, involves the restoration of natural teeth that have been damaged, decayed or lost. Crowns and bridges can correct missing teeth, bite dysfunction, and functional or structural problems. A crown can restore an individual damaged tooth back to its original form and function, while a bridge can replace one or more teeth. These restorations are cemented onto the teeth and are referred to as “fixed” dentistry rather than using a removable appliance or partial denture. When one or more teeth are missing, the remaining teeth can drift out of position, which can lead to a change in the bite, the loss of additional teeth, decay and gum disease. When tooth loss occurs, we may recommend the placement of a bridge. Designed to replace missing teeth and support surrounding teeth, a bridge is a grouping of interconnected crowns. Held in place by two or more crowns, a bridge can reduce the risk of gum disease, help correct bite issues and even improve speech. Bridges are effective and durable and can last an excess of 10 years. 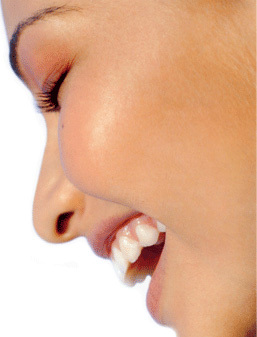 The crown restores the appearance of your teeth and can affect the muscles in your face. A crown will be the same size and shape as the natural tooth. As a result, it will keep your jaw and bite aligned; it will also make sure that other teeth don’t shift locations or take on a greater share of the work of biting and chewing.